For a lot of people, news consumption has shifted from websites and newspapers to aggregator apps on smartphones. But finding the right one is surprisingly still quite a challenging process. 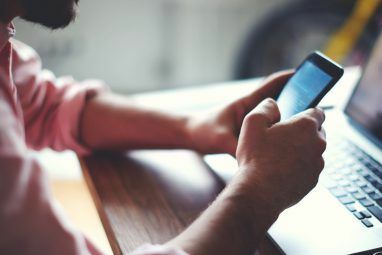 When picking the best news app, you need to look out for a lot of features, including smart algorithms, dark themes, offloading options, and more. We’ve rounded up the best seven news apps for Android and iPhone you should try. You’re probably already familiar with this one. Google News is a straightforward news reader that relies on several contextual frameworks to catch stories that tailor to your interests. You can specifically configure your preferences, or just use the app and Google News will figure out what you like on its own. In addition, Google News also allows you to read magazines and even sync your paid subscriptions. What’s more, it has the ability to download articles for you to read later. 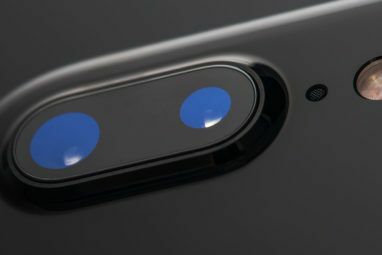 There’s a dark mode as well; you can keep this enabled all the time or automatically trigger it when your phone goes into battery-saver mode. Google News has a bunch of other tools you might find helpful. One is a section called Your Briefing that brings relevant stories for you to consume in the morning. Tap individual stories to read more on the original topic if you’re interested. Microsoft’s take on news aggregation is similar to Google News in a lot of ways. It too learns from your reading habits to pick up on your interests and what sources you like. You can, of course, manually customize these topics and even search for particular ones. Plus, there’s a tab titled Local News where you can keep tabs on what’s happening in your area. 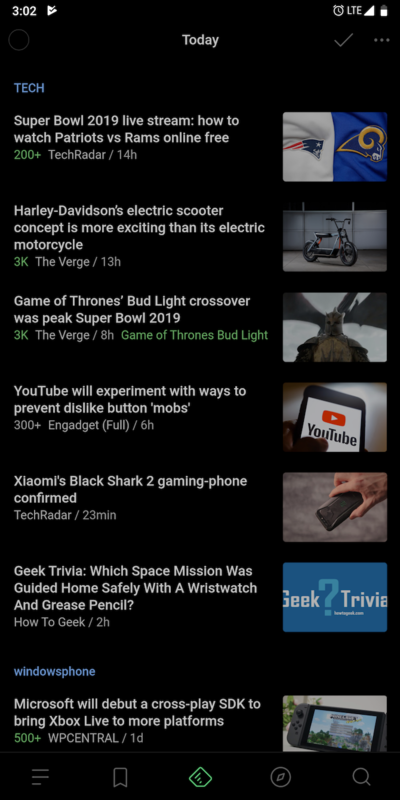 Microsoft News has a dark mode and sections in the news feed for trending topics. The app functions in many local languages, including Hindi. For more, have a look at the host of nifty Microsoft News features that are worth checking out. Flipboard takes a more visual approach and tries to emulate an authentic magazine experience. That means you have proper page flip animations in the news feed and everything is organized into large grids. Furthermore, Flipboard has a range of human-curated editorial tabs like The Daily Edition and Flipboard Picks. You also have options to save posts for later and favorite them. The app allows you to follow specific topics and create personalized magazines, which you can make public for everyone else to read. 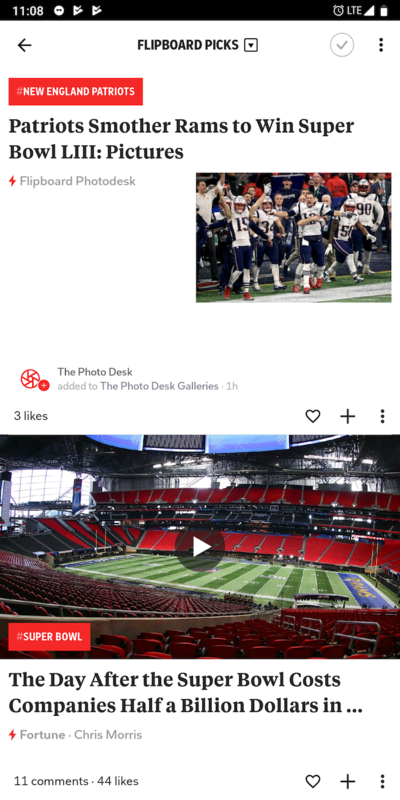 Unfortunately, Flipboard doesn’t have a dark theme yet. 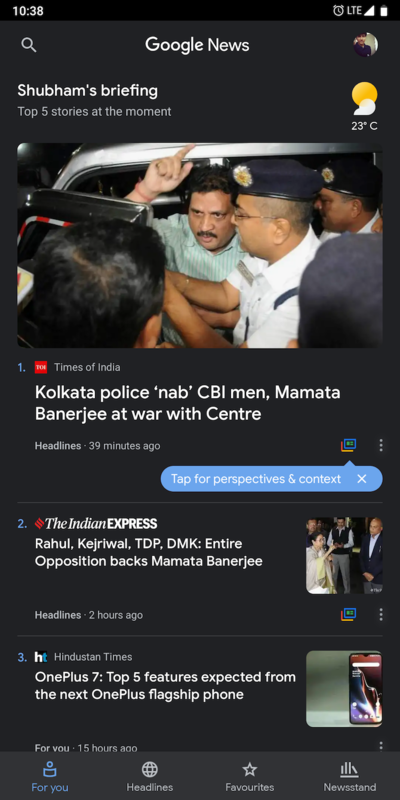 News360 is another news reader app. But instead of advanced features, this one focuses more on delivering stories in the most responsive way possible. 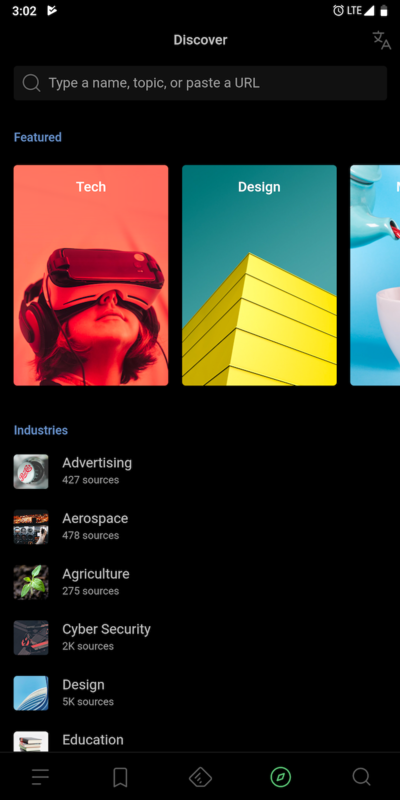 The app features a design that’s not as overwhelming as some others, and lets you quickly read up articles from your top interests and sources. In addition, you’ll find all the essential tools like the ability to change the text size, a dark theme, locally curated news, and more. News360 also constantly tweaks your news feed based on what you’ve been reading and skipping. Feedly is for people who depend on their own RSS list for news How to Create a Real News Feed with RSS How to Create a Real News Feed with RSS Combine RSS outputs with a couple of third-party tools and create a single customized news feed which only contains legitimate stories you care about. We show you how in this step by step guide. Read More instead of an algorithm. The app comes with all the features you need to maintain and edit that list and view fresh content from it. Feedly also has several discovery features if you’re looking to add new feeds. Plus, it offers a host of other tools like a save-for-later function, a ton of formatting settings, a dark theme, and more. Apple News is the premier and exclusive news platform for iOS users. It’s been redesigned with a clean, modern aesthetic that’s perfect for catching up on the news. 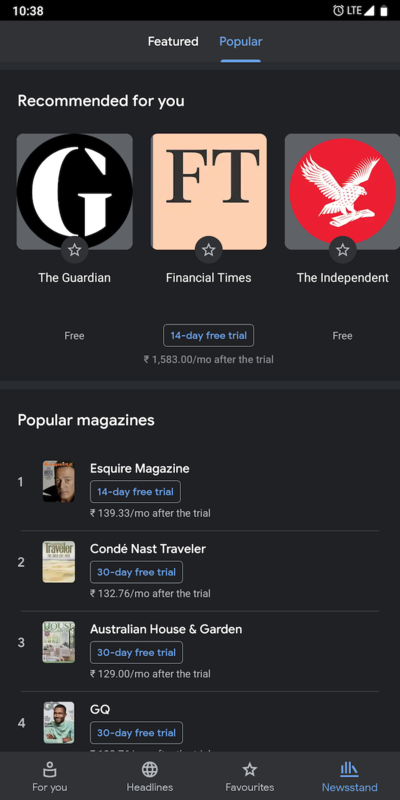 Further, the app lets you follow your favorite websites and manage subscriptions if you have any. There are a bunch of handy functions here, like a Today section that compiles important stories and News Digests, which are curated by Apple’s editorial team. Apple News comes preloaded on iPhones and iPads running iOS 12, and you can re-download it if you’ve removed it. 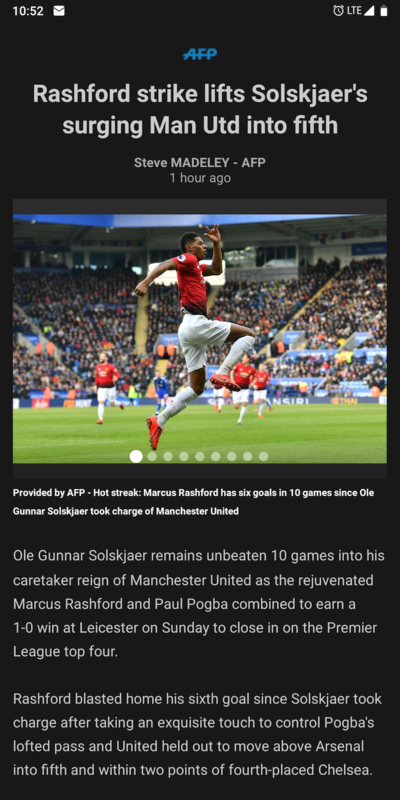 SmartNews bills itself as a news reader app that intelligently brings you only the most high-quality, trusted content. And for the most part, that’s true. But compared to the likes of Google News and Apple News, which are already powered by a string of advanced machine learning frameworks, it’s difficult to imagine SmartNews as a worthy companion. If you do decide to give it a shot, the app certainly won’t let you down. There’s also a unique tab manager through which you can quickly switch between various sections like Sports, Technology, and others. A Discovery tab is available if you’re tired of your usual destinations. 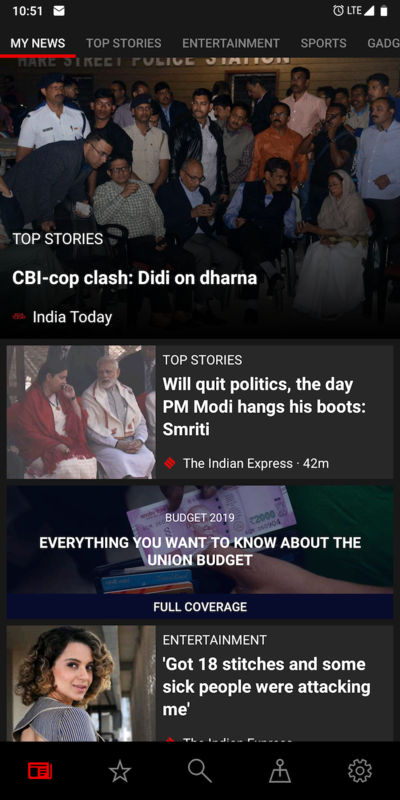 Like others, SmartNews has standard features like an offline mode. 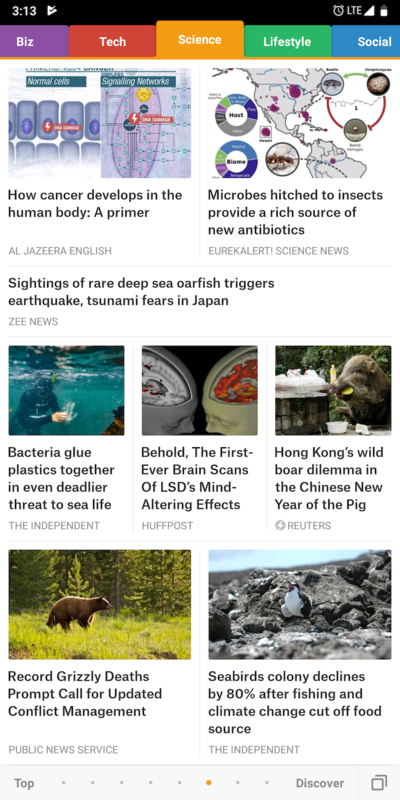 Catching up on news and articles has never been easier thanks to the flurry of free news apps available for iOS and Android. And these top news apps let you get the updates you care about with little effort. 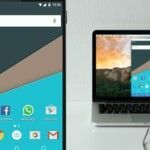 But there are times when you’d like to dive deeper and read a long article on a bigger screen. 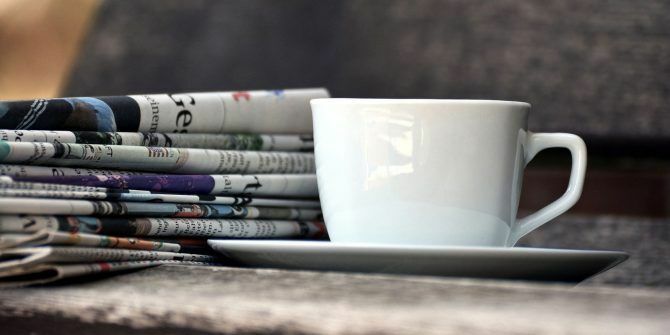 For those scenarios, we recommend taking a look at some of the best new RSS reader apps 5 New RSS Reader Apps for News Feeds and Podcast Subscriptions 5 New RSS Reader Apps for News Feeds and Podcast Subscriptions RSS isn't dead. These new RSS readers promise to make you fall in love with news feeds again. Read More . Explore more about: Android Apps, Google News, iOS Apps, News.